There are many places to find research, and sometimes they can seem hard to use. If you need information on how to best find the studies you want, I recommend reading my “Tracking Down Studies” articles originally written for the Science and Sensibility blog. I’ve listed below many of the databases where you can find birth related research below. This list is probably not comprehensive, but it covers the major ones. If you know of one I’ve missed, please contact me to let me know. BMJ’s Clinical Evidence systematic reviews summarize the current state of knowledge and uncertainty about the prevention and treatment of clinical conditions, based on thorough searches and appraisal of the literature. It is neither a textbook of medicine nor a set of guidelines. It describes the best available evidence from systematic reviews, RCTs, and observational studies where appropriate, and if there is no good evidence it says so. Click on the “Sections” tab and choose “Pregnancy and Childbirth”. The Cochrane Library contains high-quality, independent evidence to inform healthcare decision-making. It includes reliable evidence from Cochrane and other systematic reviews, clinical trials, and more. Cochrane reviews bring you the combined results of the world’s best medical research studies, and are recognized as the gold standard in evidence-based health care. Anyone can view abstracts online. Full text can only be viewed through a subscription, like EBSCO. Lamaze members can view full text as a benefit of membership. A tutorial on the Cochrane Library is available on YouTube. A collection of databases on health topics (including CINAHL, a great one for childbirth issues) available through a variety of places. For example, with a library card, EBSCO can often be accessed through your local public library, either online or in person. Did you go to college? Check and see if your college provides online access to alumni. Most college libraries allow free access if you come into the library. Call first to make sure! Will search for academic articles and abstracts posted on the web. A service of the U.S. National Library of Medicine that includes over 17 million citations from MEDLINE and other life science journals for biomedical articles back to the 1950s. 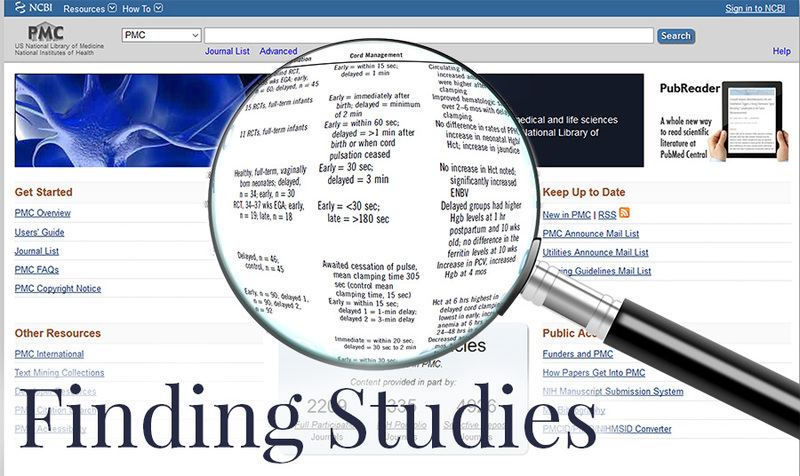 PubMed includes links to full text articles and other related resources. Online tutorial for using PubMed. Journal searching and news, with access to some full-text articles with a free registration. MIDIRS Midwifery Digest provides maternity health professionals with an overview of key midwifery and medical research to inform their practice. The information is gathered from over 550 international journals and original articles are commissioned on the hot topics being discussed by the midwifery profession.